January 10: The integration of social media and search becomes more evident when Google announces a radical shift in personalization, aggressively pushing Google+ social data and user profiles into SERPs. February 14: Pinterest reaches 11 million monthly unique visits, making it the fastest growth of any other standalone site ever. February 27: NASCAR’s Brad Keselowski tweets from his car while racing in the Daytona 500 and gains more than 100,000 followers during that period. March 5: The “Stop Kony” campaign launches and goes viral. The film garnered 94 million views on YouTube and causes the Kony 2012 site to crash. April 9: Facebook acquires photo-filtering app Instagram for $1 billion, a sign that visual content is on the rise. May 1: SEOmoz announces $18 million of Series B funding in style with an outrageous, meme-packed press release. May 18: Facebook goes public, but the stock is plagued by technical delays at the start of trading and ends the day up just 23 cents from its initial public offering price of $38 a share. June 29: Twitter and LinkedIn break up, disabling the automatic posting of tweets to LinkedIn. August 8: American gymnast McKayla Maroney’s scornful scowl becomes a meme legend, making it one of the most memorable and repurposed images from the 2012 London Summer Olympics. August 28: The world’s largest event for inbound marketers, INBOUND 2012 (a HubSpot production) overtakes Boston, MA for four days. During the conference, HubSpot announces HubSpot 3. September 6: HootSuite acquires Twitter management tool Seesmic for an undisclosed amount. October 4: Facebook hits a record 1 billion users. October 22: During its Q3 earnings call, Yahoo! CEO Marissa Mayer states she plans to transform the company into a mobile- and technology-focused company. Marketers can expect new mobile platforms over the next year. October 28: The San Francisco Giants get so creative and engaged in social media when they sweep the Detroit Tigers to win the World Series that the team actually matched President Obama’s near-perfect Klout score of 99. November 4: HubSpot raises $35 million in its mezzanine round of funding. Investors include Altimeter Capital, Cross Creek Capital, and an unnamed investor. November 6: This day ends the most expensive U.S. Presidential election in history at a whopping $6 billion — $2 billion was in advertising alone. The election was also the most tweeted political event in history with more than 20 million tweets. 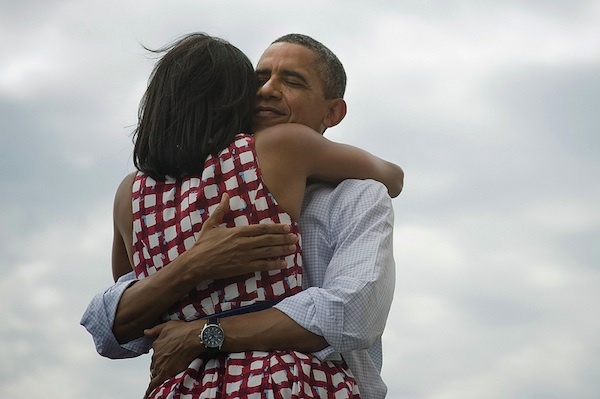 November 6: The photo of President Barack Obama hugging first lady Michelle Obama gets Liked more than 4 million times and shared more than 560,000 times on Facebook, and retweeted more than 800,000 times on Twitter, making it the most popular image ever posted to both sites. November 12: The Oxford American Dictionary names ‘GIF’ the word of the year. Yes, that’s right. The compressed file format for images that marketers love and use to create simple, looping animations, turned 25 this year. November 24: Global phenomenon and Korean star of Gangnam Style, Psy beats two world records in one month. First, he collects a Guinness World Record for having the most-liked video on Youtube. Then ‘Gangnam Style’ becomes the most watched video on YouTube ever at more than 800 million views. December 31: This marks the last day of Newsweek’s 80-year run as a print publication. The magazine makes the switch to an online-only format in January 2013 — even more evidence the world is going digital.